Say cheers to a good life. Live it. Flaunt it. That’s the mantra, which has been our guiding principle behind Cherry County. 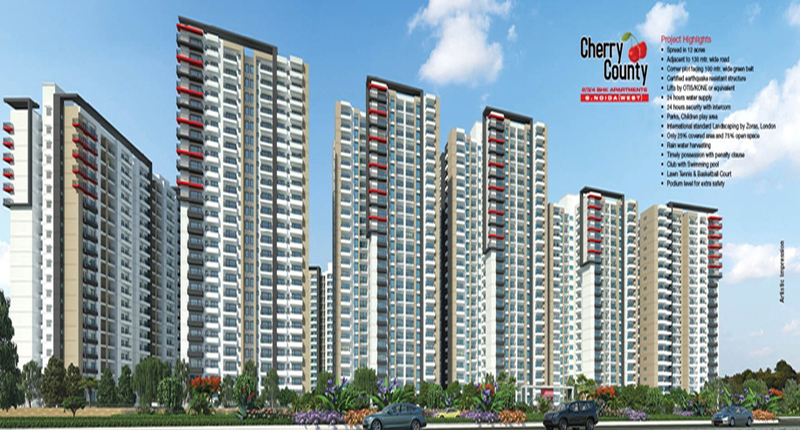 Cherry County Greater Noida is located adjacent to 130mtr wide Noida – Greater Noida Highway in the middle of green surroundings, Cherry Country is an invitation for an invigoration life. Bedrooms have been planned in such a manner that they permit easy flow of breeze. Vivacious living room and ample space are hallmark of each apartment in Cherry County. They not only complement your modern lifestyle but are also at par with international standards. Every inch of Cherry Country has been planned to enhance the joy of living. The club facility and the other amenities here promote harmony of activities and indulgences to unwind yourself and help you lead an incredible life.